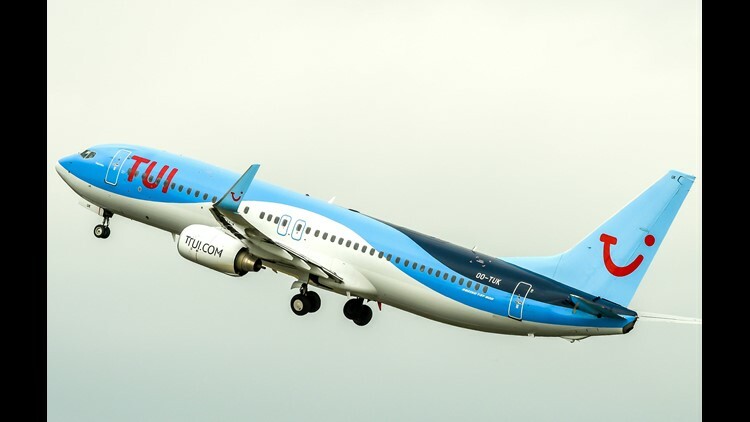 A Boeing 737-800 aircraft from TUI takes off from Lille Airport in Lesquin on August 22, 2018. 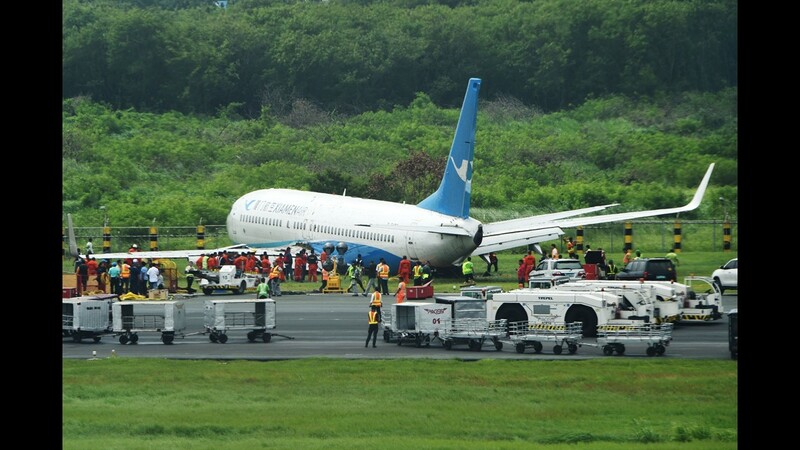 Ever seen a plane make a sideways landing? Now's your chance. 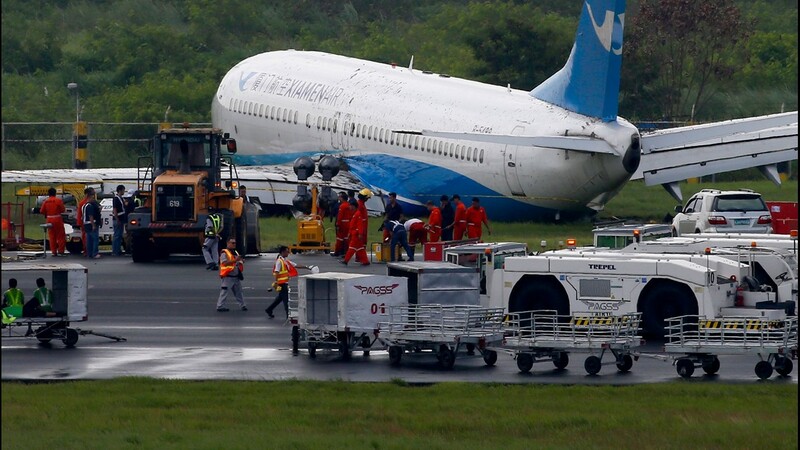 Captain Brenda Riepsaame Wassink, the pilot on a TUI Boeing 757-200 aircraft gracefully performed the difficult maneuver at England's Bristol Airport last week, according to CNN and British tabloid The Mirror. 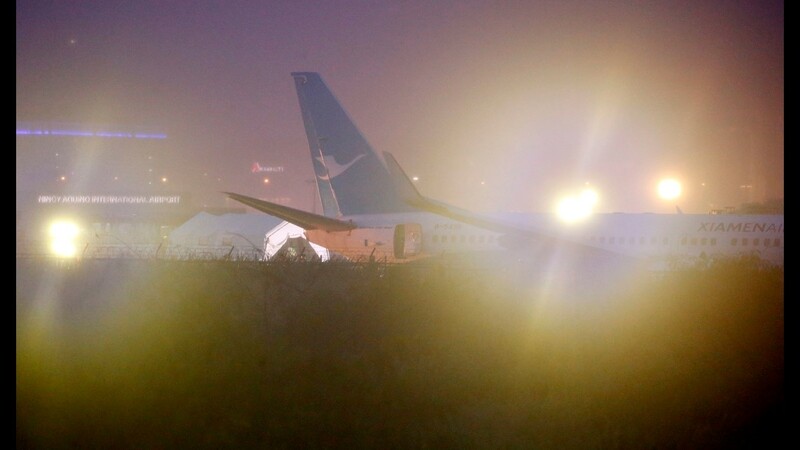 The special landing was done due to high winds brought by Storm Callum, the news outlets reported. 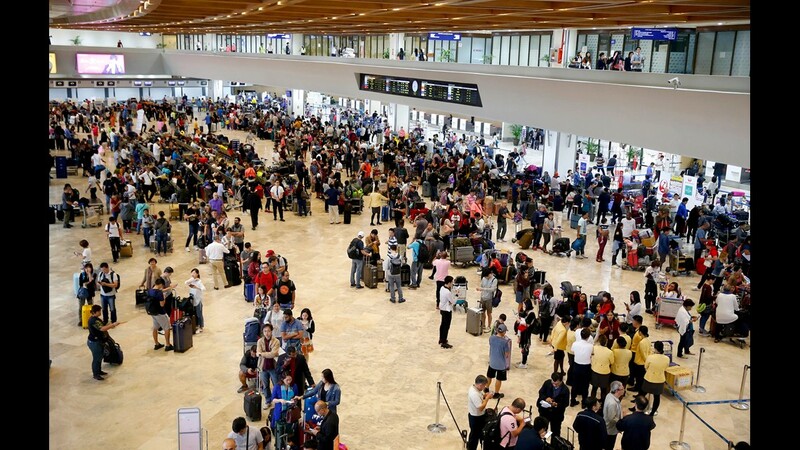 Video of the remarkable feat has since been shared on social media, including on the Youtube channel of British aviation enthusiast "Mraviationguy," where the clip has racked up over 863,000 views. "Aircraft need to compensate for the crosswind otherwise they will be blown off course, they do this by pointing their nose into the direction the wind is coming from, demonstrated perfectly by this crew," the YouTuber explains in his video's description. 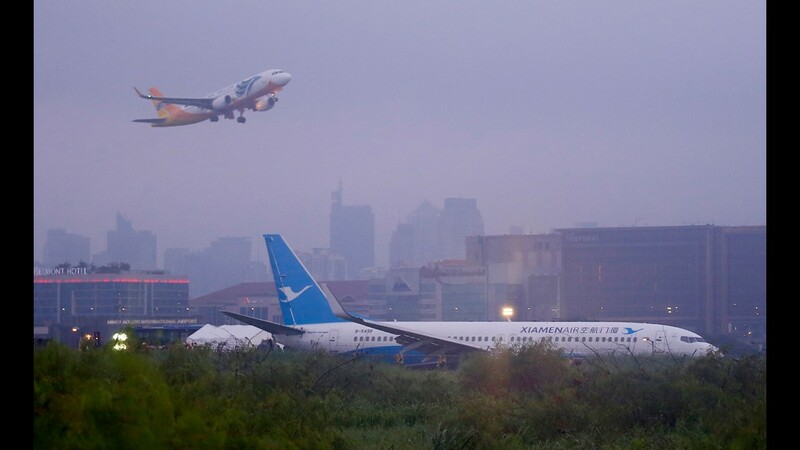 "It is always fascinating to watch planes landing in strong crosswinds; the power of mother nature vs the skill and professionalism of the brilliant airline pilots." USA TODAY has reached out to Bristol Airport for comment. 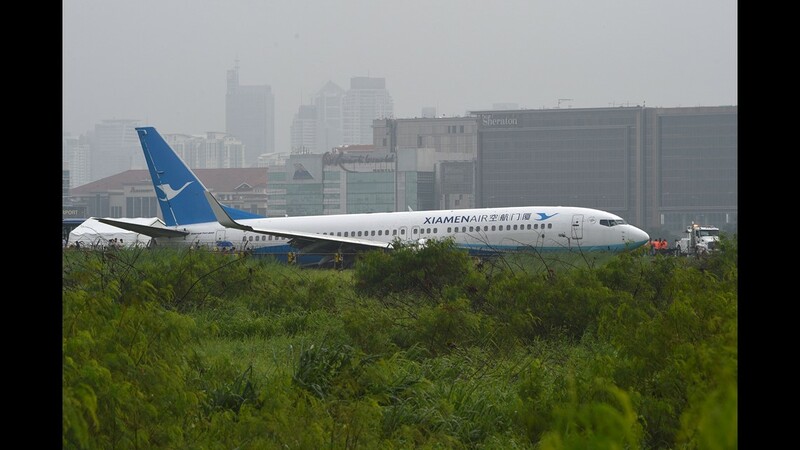 A Xiamen Air Boeing 737 lies on the grassy portion of the runway of the Ninoy Aquino International Airport after it skidded off the runway while landing Friday, Aug. 17, 2018. 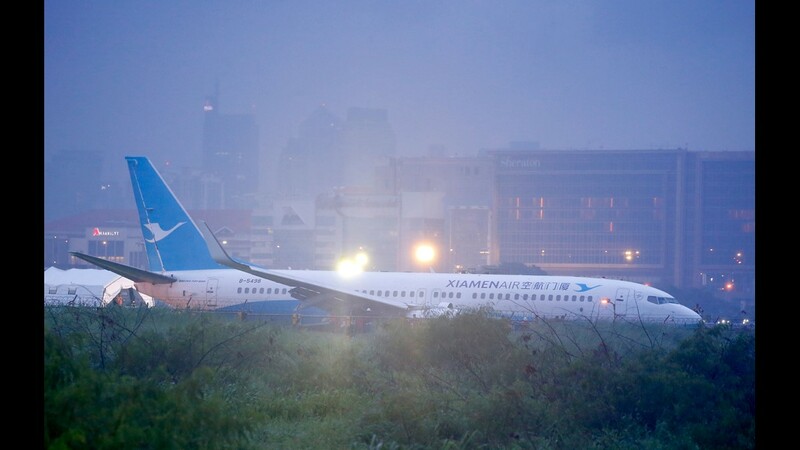 A Xiamen Air Boeing 737-800 aircraft is seen Aug. 17, 2018, after skidding off the runway while attempting to land in bad weather at the Manila international airport. 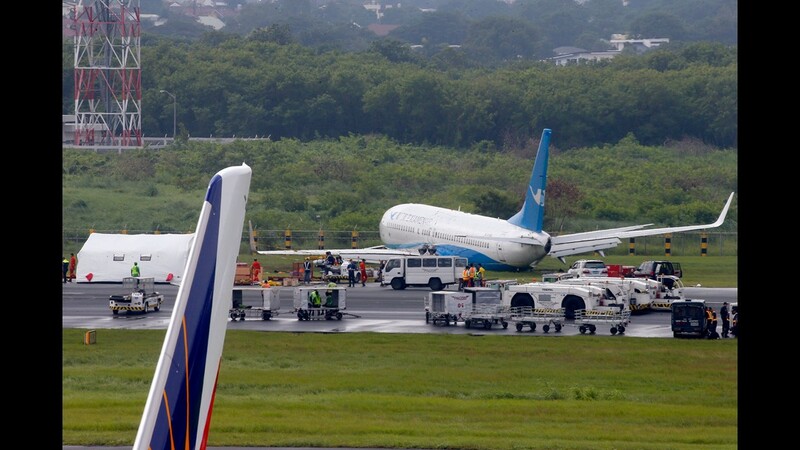 A Xiamen Air Boeing 737-800 aircraft (foreground), operating as flight MF8667 from Xiamen to Manila, is seen on Aug. 17, 2018, after skidding off the runway while attempting to land in bad weather at the Manila international airport. 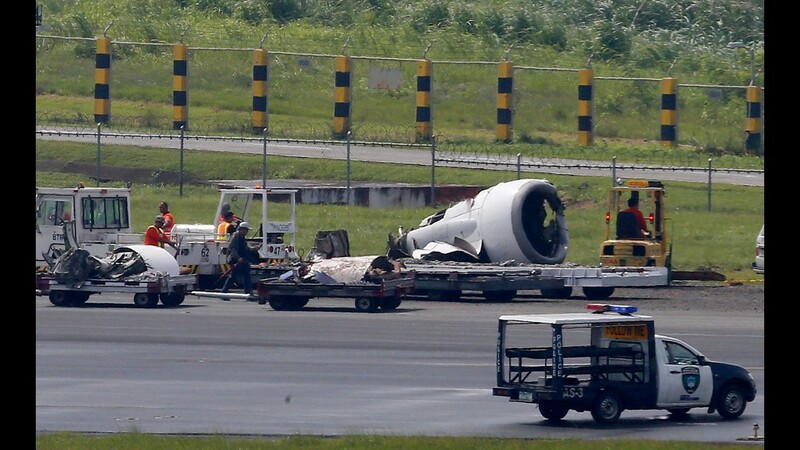 The left engine of Boeing passenger plane of Chinese carrier Xiamen Air sits on the grassy portion of the runway of the Ninoy Aquino International Airport after its flight skidded off the runway while landing Friday, Aug. 17, 2018. 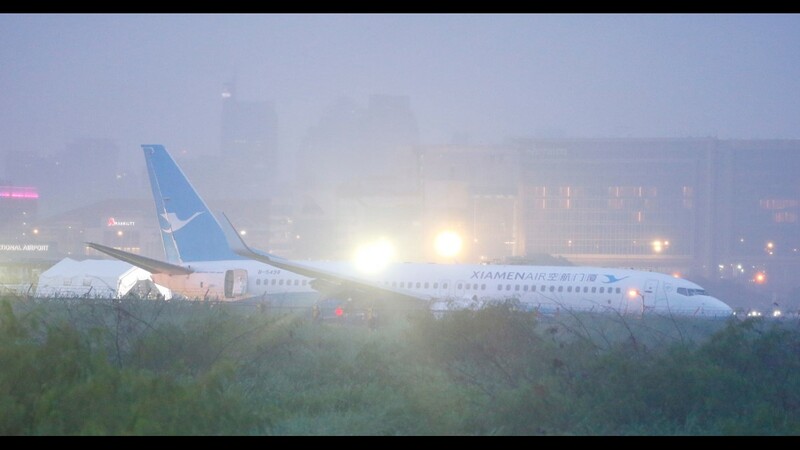 A Xiamen Air Boeing 737-800 aircraft is seen on Aug. 17, 2018, after skidding off the runway while attempting to land in bad weather at the Manila international airport. 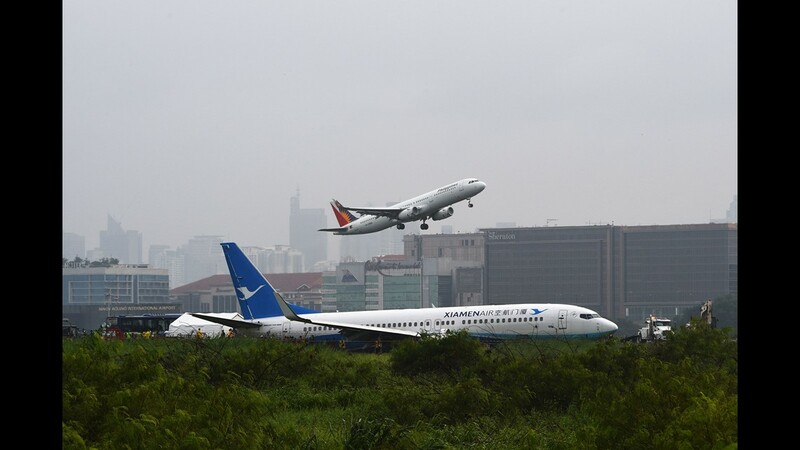 A Cebu Pacific passenger plane takes off within view of a Xiamen Air Boeing 737 that sits on the grassy portion of the runway of the Ninoy Aquino International Airport after it skidded off the runway while landing Friday, Aug. 17, 2018. 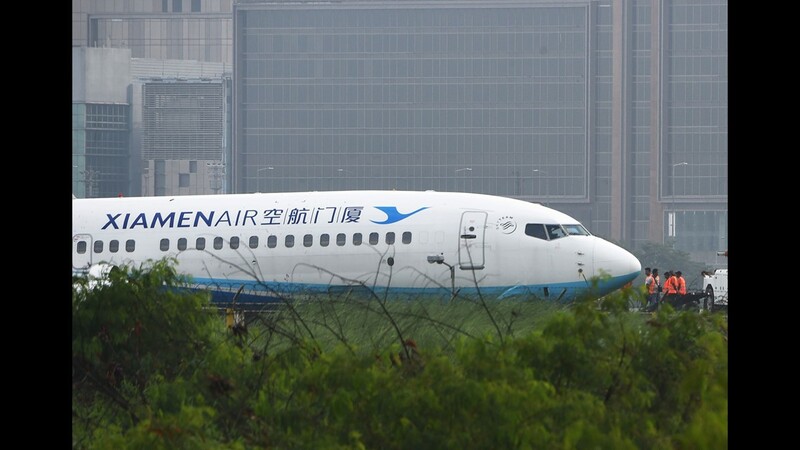 A Xiamen Air Boeing 737 sits on the grassy portion of the runway of the Ninoy Aquino International Airport after it skidded off the runway while landing Friday, Aug. 17, 2018. 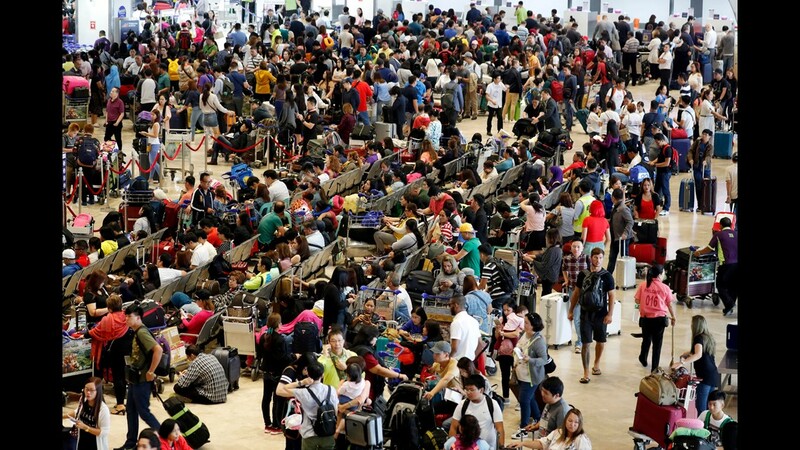 Hundreds of airline passengers gather to check their flights at the Ninoy Aquino International Airport after a Chinese Xiamen Air Boeing 737 skidded off the runway while landing Friday, Aug. 17, 2018. 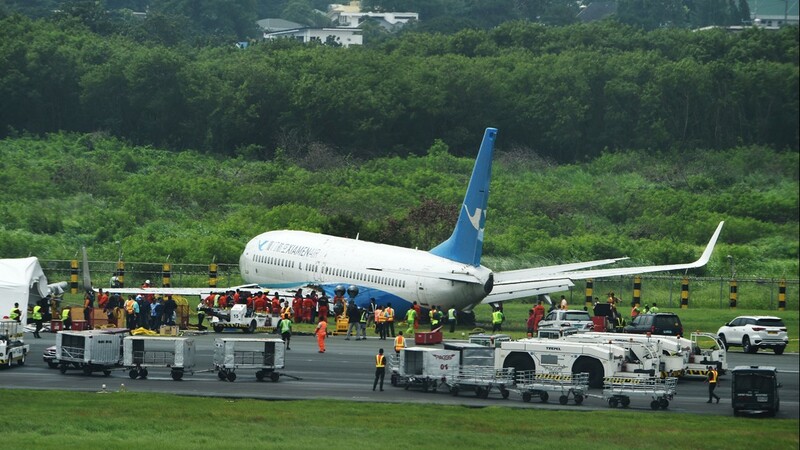 A Boeing 737 of Xiamen Air sits on the grassy portion of the runway of the Ninoy Aquino International Airport after it skidded off the runway while landing Friday, Aug. 17, 2018. 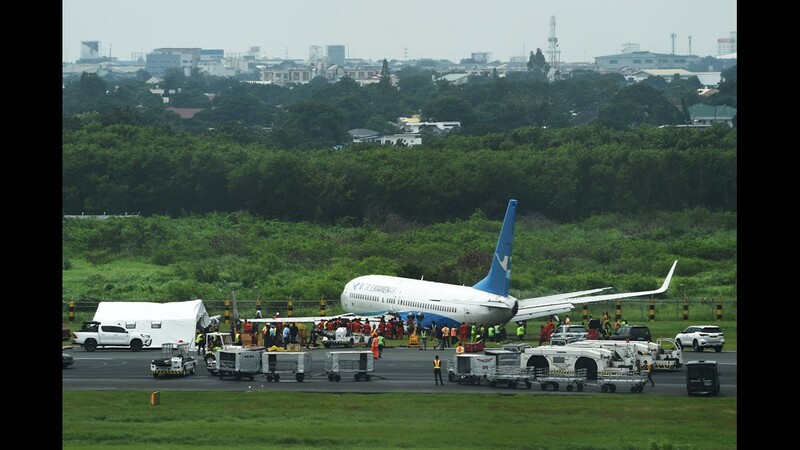 All the passengers and crew of Xiamen Air Flight 8667 were safe and were taken to an airport terminal, where they were given blankets and food before being taken to a hotel. 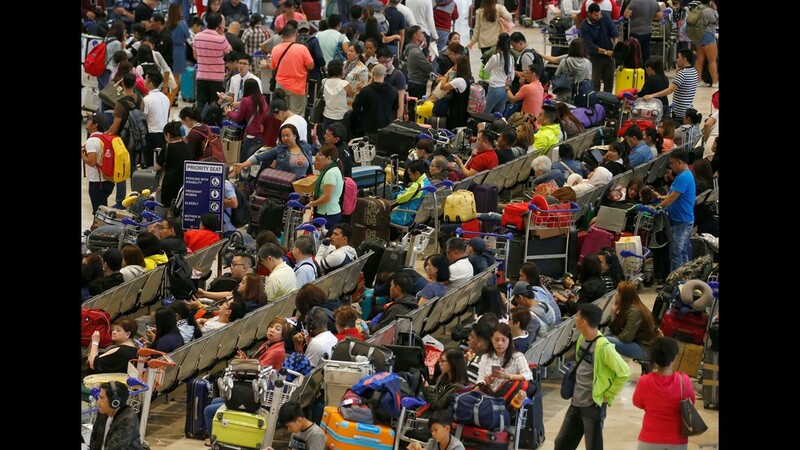 Stranded passengers are seen inside the international airport in Manila on Aug. 17, 2018. 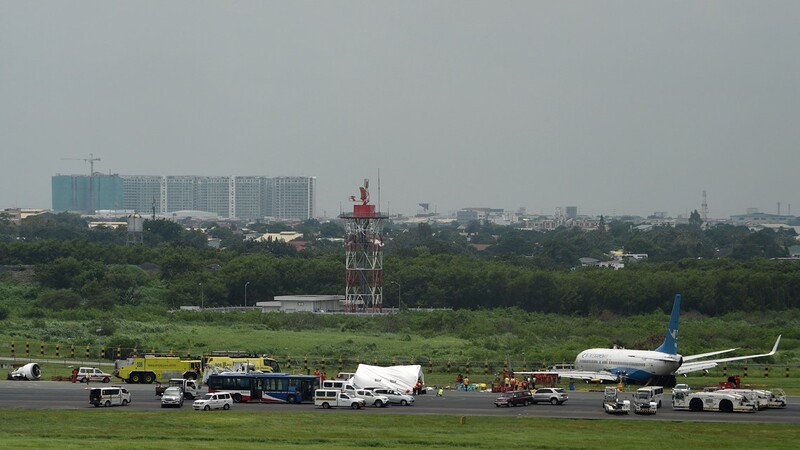 According to reports, many international flights were cancelled at Manila's international airport after an airplane of the Chinese Xiamen Air airline skidded off the runway while trying to land amid a heavy downpour.